1. In myLSU, select Directory Information from the panel on the left-hand side of the screen. 2. Click Directory Information from the dropdown panel. 3. 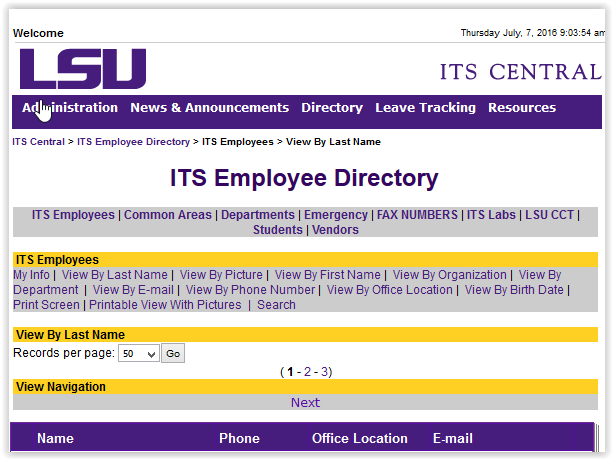 You now have access to LSU's ITS Employee Directory.